Speed Sled, Resist-belt, Overspeed training, Lat Resistance/Harness all used. Emphasis is on improving backward and lateral skating power and agility. Older players will use PAP training with power sleds to see dramatic gains. 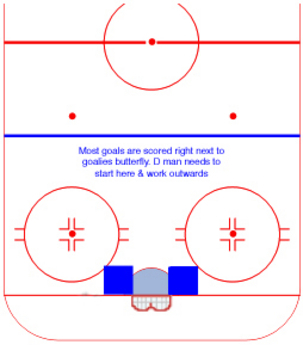 Rink Geography: Probably the most important thing a defenseman must learn and apply. Hockey Training and Services. Custom Team Clinics, Special Assignment Coaching, Video Analysis, Videography. Video Teaching/Coaching.